Purolator has been manufacturing, marketing and distributing oil filters for engines since 1923. 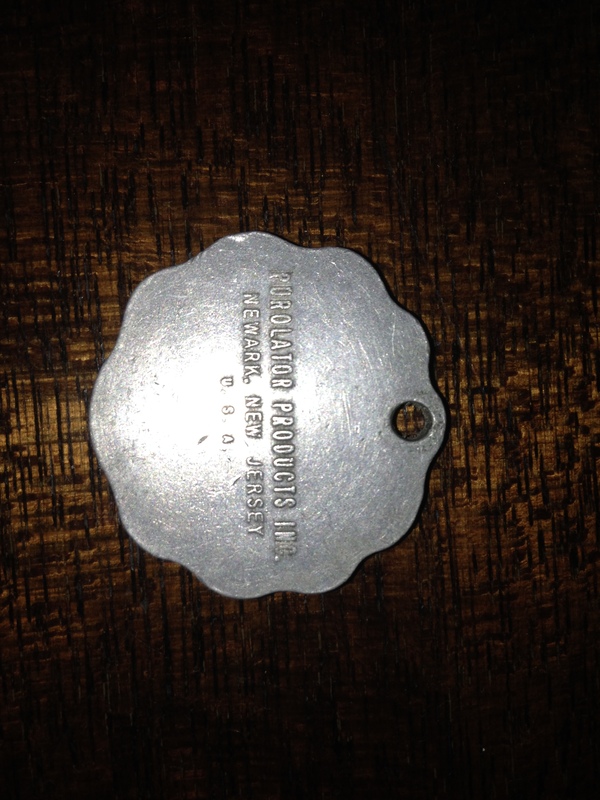 Ernest Sweetland and George H. Greenhalgh patented the first automotive oil filtration system. 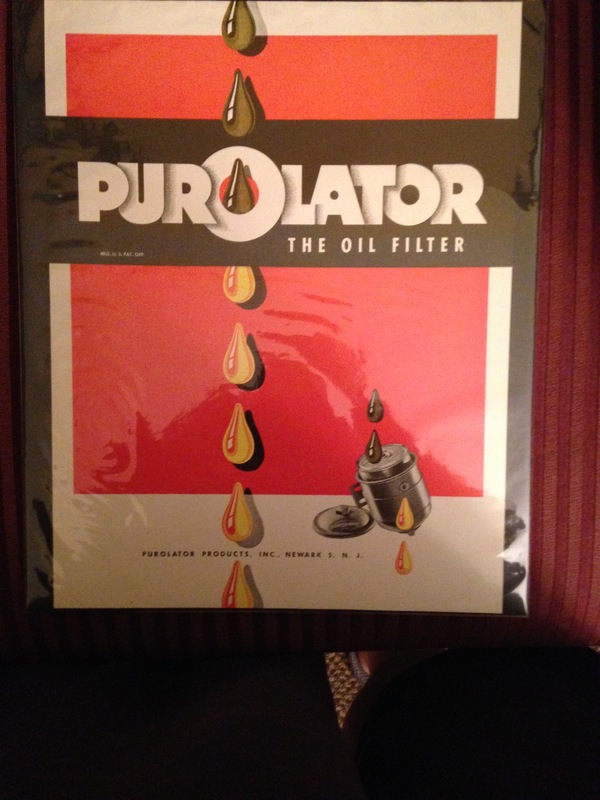 They called their invention “Purolator” short for the words “pure oil later”. The advertisement included in this post dates from 1944. The aluminum commemorative coin dates from 1948 and celebrates the 25th anniversary of the company. 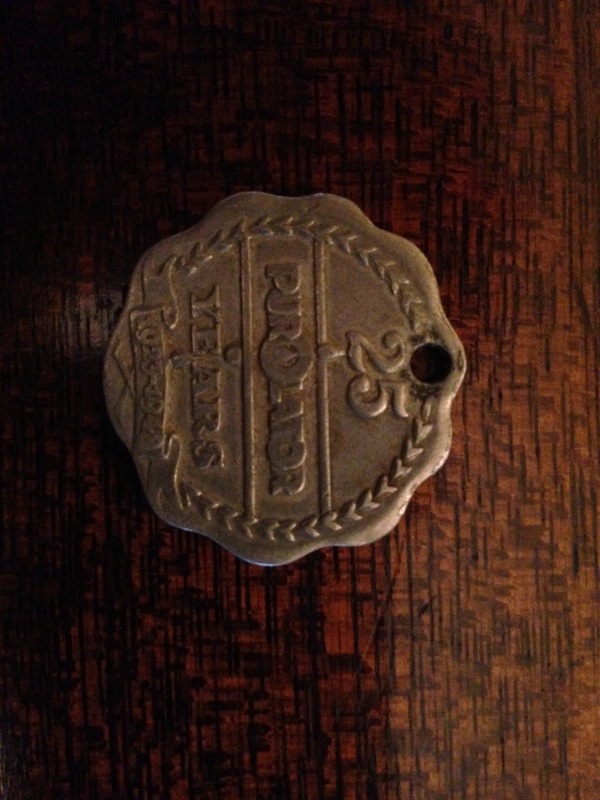 In both the advertisement and the “coin” it is clear the company is located in Newark. Later company histories completely omit that fact. That puzzles me and will require more research to see if this is accidental or intentional.